Another brand I have recently had a chance to review for is Lady Queen Beauty. They were kind enough to send me a couple of stamping plates, both of which I love, and I have the first one to share with you today! It's Lace Series BC4 and there are some gorgeous summery images and some pretty art deco looking designs as well which you know I love. I made a collage of a few of my favorites. I swore up and down that some of these lines would be too fine to pick up but they weren't! Everything picked up perfectly! 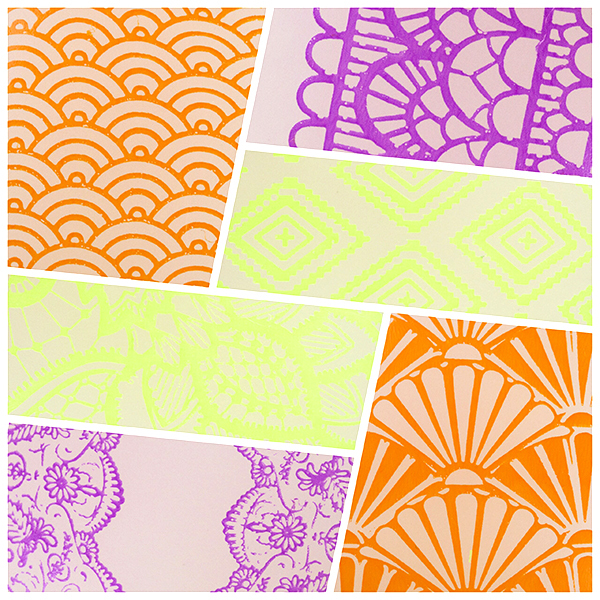 These pics were all taken on the head of my FabUrNails squishy stamper, my go to for stamping fine lines. Since this plate got me feeling all summery I started with these desert suns! I used a base of Sinful Colors Karamel from the King Kylie collection and layered over just one thin coat of Doctor Lacquer Viking. It is absolutely loaded with flakes and I thought it looked amazing over that shimmery, sandy background. Stamped with Mundo de Uñas Bones and mattified with Sally Hansen Big Matte Topcoat, love that stuff. 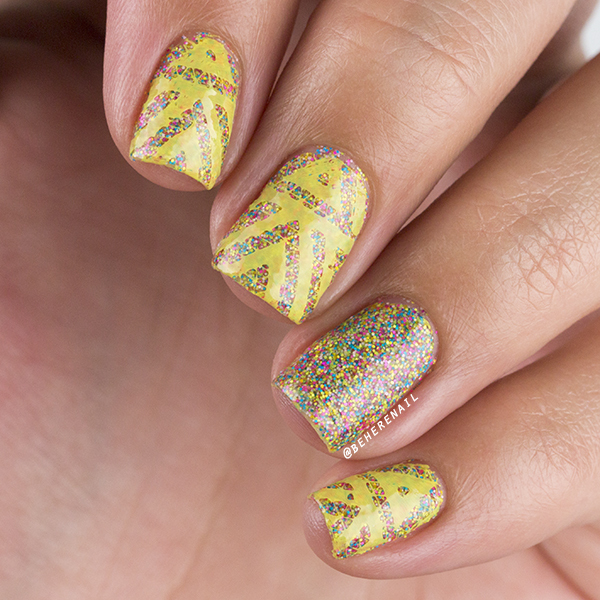 Keeping with the summery feel I went neon and geometric for this next mani. 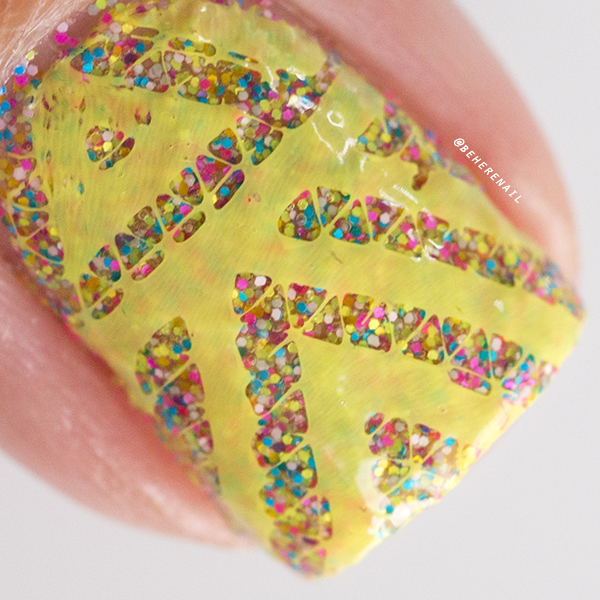 Stamping polish is Gobi You by Bundlemonster, from their Weekend Warrior collection. It's the best neon stamping polish I own! Nevermind my imperfect placement just focus on all that neon goodness. 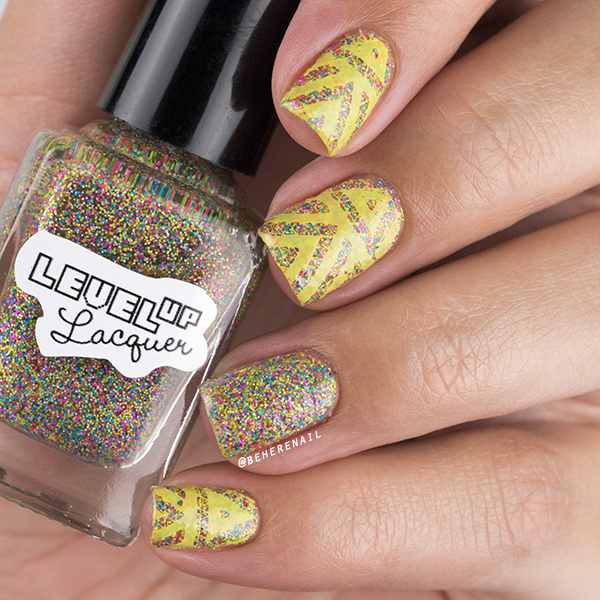 The base is LevelUp Lacquer's Neon Glitter Armor and this is only two coats! You could really gear up with three if you wanted but I liked this just fine. Here's a quick swatch because I couldn't resist. I hope you guys enjoyed the nail art, these plates are definitely worth checking out. 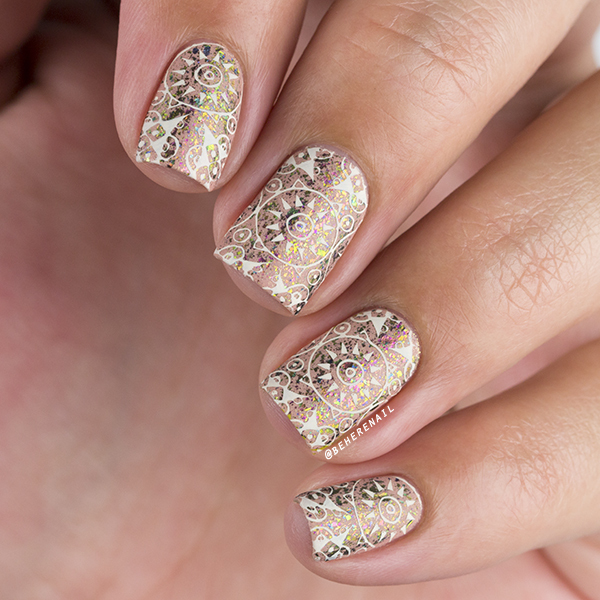 I found the detailed images especially suited to my new shorter length and if you love intricacy in your nail art these can't be beat. If you do pop by you can search for this plate by the product code #NA0370 and feel free to use my discount code EVBS15 for 15% off!